With food sales accounting for its biggest sales increases, Family Dollar plans to add about 1,000 new brands to its stores, including products from national brands such as Pepsi, Red Bull and Gerber. Most of the discount chain’s 15 percent increase in SKUs in the past six months came in the food & beverage category, company officials told Barclays Capital 2012 Retail & Restaurants Conference on April 24. Sales of “consumables” increased 13 percent and now account for 65 percent of sales, while “seasonal and electronics” rose 9 percent and declines were posted in home products and apparel & accessories. Food is a key to current growth. 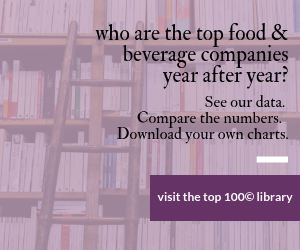 The chain’s food assortment increased by 20 percent over the past 18 months and 500 new food SKUs are being added, including products from Pepsi, Red Bull, Gerber baby foods and Wise snacks. The number of cooler doors will double at most stores from the current five. But the chain is also expanding its private-label offering and also adding cigarettes and other tobacco products at 5,000 stores.